This year Nathan is starting pre-kindergarten. 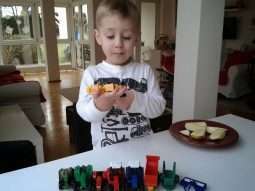 His school experience thus far has been spent in German kindergarten, which is typically for ages 3-5/6 years of age. Now that we are in America, we have decided to homeschool (you can read more about why we decided to homeschool here). As a former teacher, I am really excited to be embarking on this journey with my son! We began our home school on September 7 this year, the day after Labor Day. I have decided to share our homeschooling adventures here on Mommyship. I will also post my lesson plans, activities, worksheets, and everything else in an attempt to help other moms (or dads) looking for ideas or support. I don’t by any means think I have it all figured out, but surely my years spent in various classroom settings have provided me with the insight and experience needed to run my own home school. Only time will tell as I navigate us (with a newborn in arm) on this education expedition. Check back often to find related resources as I am creating my own curriculum based on my son’s needs. That means his skill level and rate of mastery will dictate (to an extent) what I teach, but most certainly when I teach things (read about how I’m doing this here). Happy homeschooling!!! This is Nathan. He loves big vehicles that work to get big jobs done. 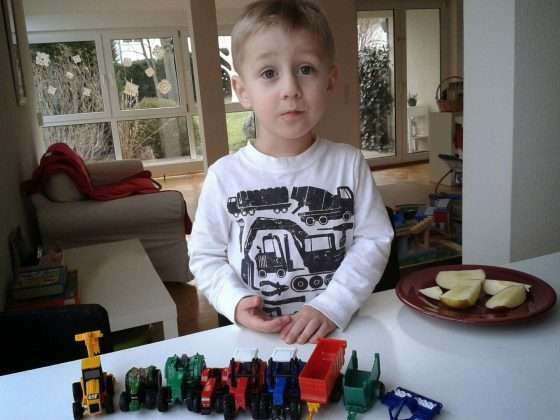 Tractors and construction vehicles…they’re his thing. 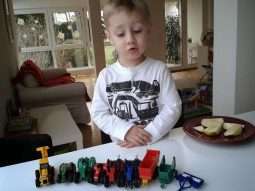 He loves playing with them. 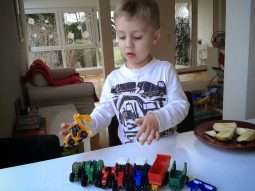 He loves sorting them. He loves wearing them. 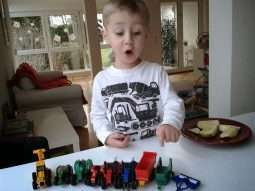 He loves talking about them. Our Review: A uniquely illustrated book with rich language that creates an action-packed reading experience for a little builder. The use of onomatopoeia takes the reader into the story, onto the worksite, where he/she can participate in the demolition. A fun read that we have yet to tire of. 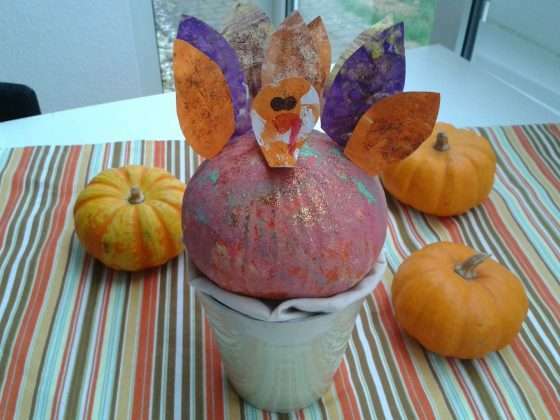 Perfect for toddlers, preschoolers and early school aged children. Our Review: This is a fun read for those who love cats and construction stuff. 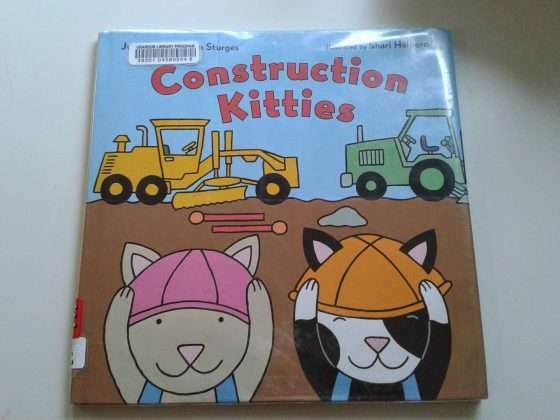 The story takes the reader through the Construction Kitties’ work day as they build a… I don’t want to give away the story! Read it to find out what the kitties construct. You won’t be disappointed! Appropriate for toddlers and preschoolers. Our Review: A simple book featuring complicated machines. This book is perfect for toddlers and preschoolers who are fascinated with vehicles that work to get big jobs done–maintenance vehicles, farm vehicles, rescue and construction vehicles. Individual vehicle names, their category and their function is given. We love just sitting and talking about the different vehicles presented on each page. Our Review: This book is amazing! 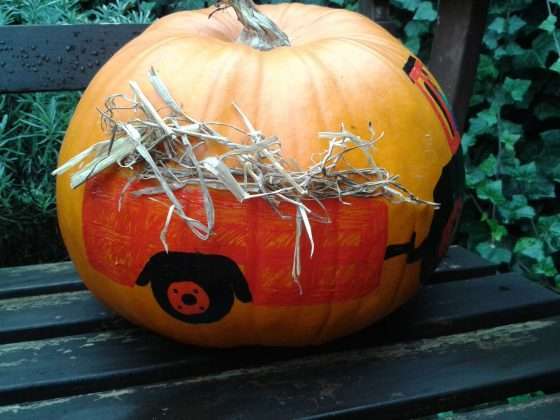 Such a creative use of construction vehicles and construction related tools found on a worksite. 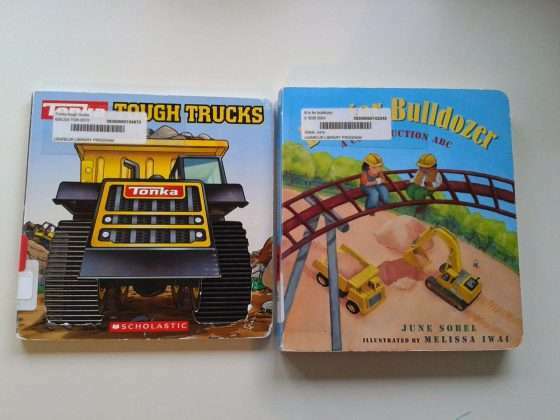 B is for Bulldozer tells a construction story by using the alphabet. 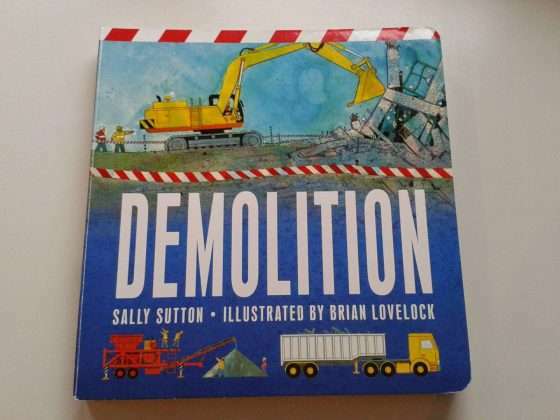 We love the rhyming text and how the construction terminology (some new to us) is presented. A must-have for toddlers and preschoolers! Nate and I decided we would make Valentine’s Day cards for the cousins this year. 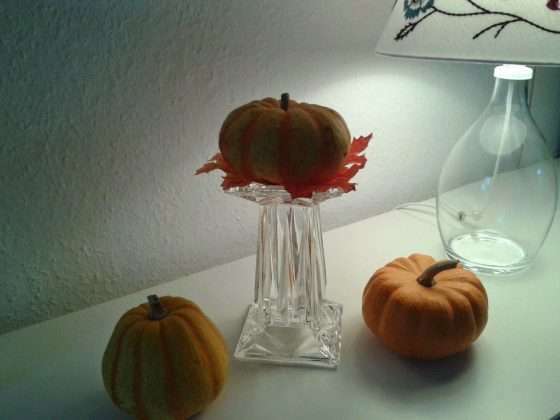 I wanted to keep them simple, mainly because my access to crafting supplies here in Germany is very limited. 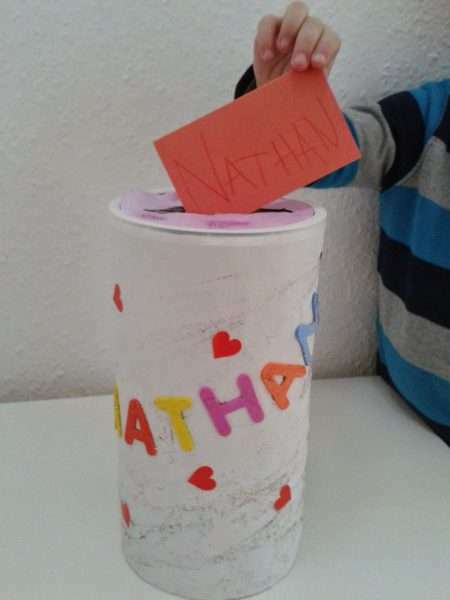 Nathan is also, at three years young, limited in his crafting abilities. We began by listing out how many cards we would need and thought about what type of animal we wanted to make for each person. Nate decided on a frog, turtle and some lady bugs. This meant we needed green and red material for the bodies. Nate’s job was then to paint some art paper green and red. Once the artwork was dry, I then sketched and cut out the parts we needed for the bodies. I end up using a light brown foam material for the turtle shells, which I think made them look all the better. 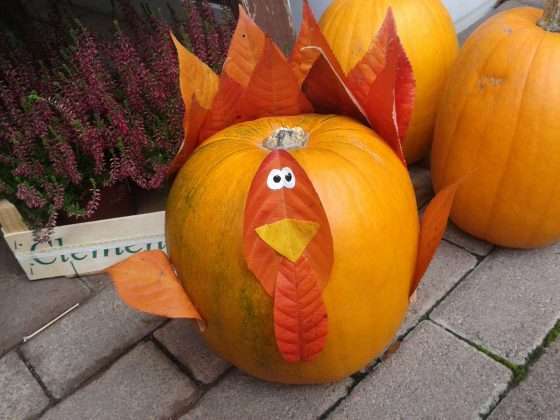 The added texture was just what the little guy needed to come to life. 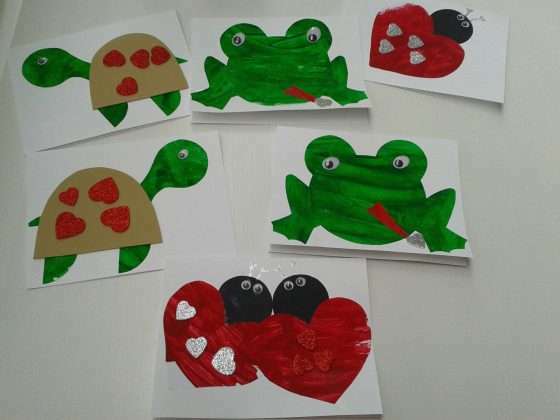 A bit of glue, a few wiggly eyes, several glittery heart stickers and our Valentine’s Day cards were complete. These cute little cards were really fun to make and to give. If you would like to give them a try, here are some templates I made with all the info you need to implement. Enjoy! Now that Nathan is three years old, he loves the idea of getting mail. 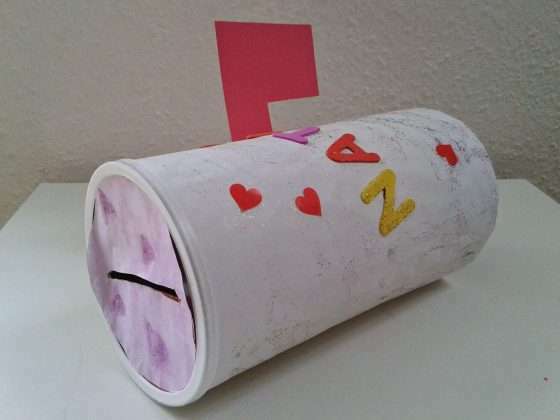 So, in preparation of Valentine’s Day, we had to create a Valentine’s Day mailbox. When I started to gather supplies for this mailbox, I was surprised that I didn’t have any boxes on hand. I can’t stand clutter, but I do hoard items (such as boxes and other reusable cardboard items) for use in crafting with my boy. I did end up finding the perfect container for our mailbox–a Quaker Oats cylinder. Cover outside of container with drawing/construction paper. Glue or tape in place. Cut off excess. Be sure to cover lid as well. Decorate outside of container. Fold lid in half and cut an opening large enough for an envelope to fit through (about 5-6 inches). To add a flag, cut a piece of red construction paper in the shape of an “L”. Tape, glue or use a brad to hold it in place on the side of the mailbox. 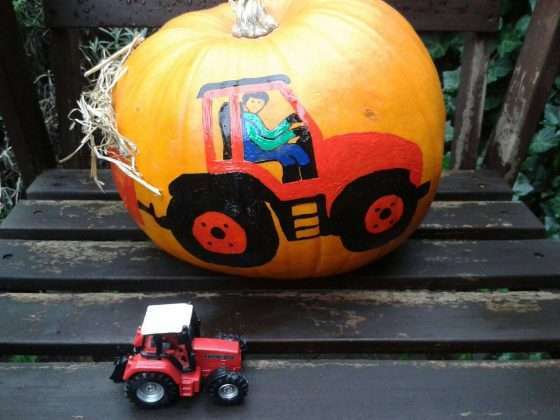 And Painted…If you have small children, this is a great, safe alternative to carving. 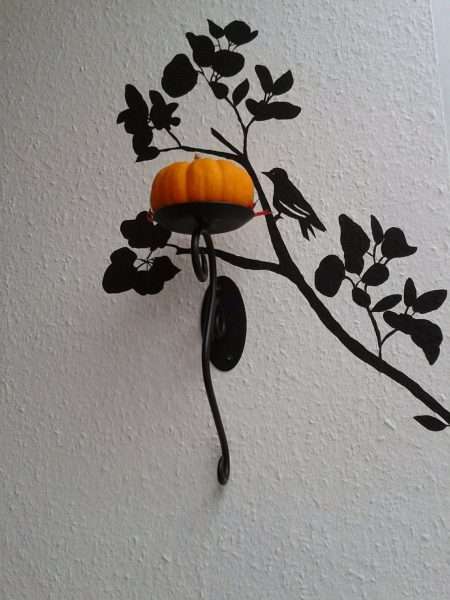 By not cutting into the pumpkin, you will also be able to enjoy your art longer. 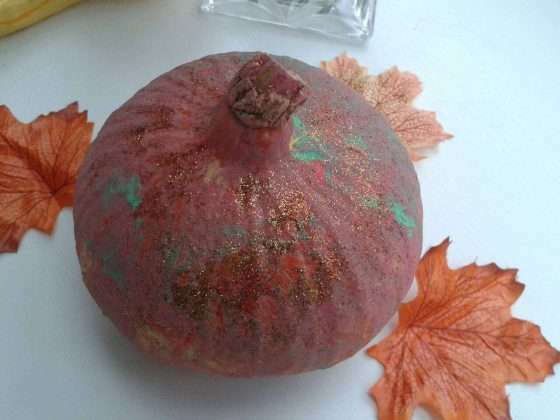 Carving/cutting it obviously speeds the rotting process.